Ultrasound Therapy is beneficial in the treatment of sprains, strains and other ailments involving soft tissue as well as for the breakdown of scar tissue. This therapy is not to be confused with diagnostic ultrasound used in screening and diagnostic procedures. 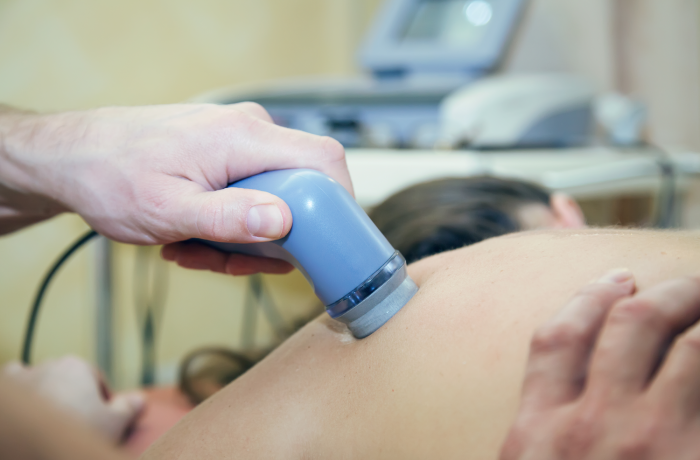 Ultrasound therapy is performed with a wand device that emits small soundwaves that penetrate the body. These sound waves vibrate and heat the soft tissue creating a ‘micro-massage’. This massage can help reduce swelling, increase blood flow, decrease pain, stiffness, and spasms. The vibrations created by the ultrasound are also believed to stimulate cell membranes encouraging tissue repair at the cellular level while reducing inflammation.